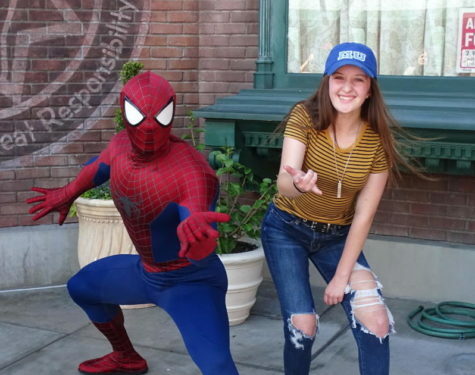 Amanda Mourelatos is a sophomore at Sahuaro High School and the Associate Editor in Chief of The Paper Cut. She is a soccer player who has been playing for over 10 years. She also plays vibraphone in the marching band and plays drum set for fun. Also, she adores rock music and she attends rock concerts very frequently; she will have attended 12 concerts in 5 years at the end of 2018. She enjoys reading, painting, and drawing in her free time to calm her. Her friends describe her as sweet, supportive, understanding, and eccentric. She enjoys making others smile and laugh. Also, Amanda is very easy- going and loves to live in the moment. She has a strong passion for photography and shares the passion with her dad. She has always been better in English than math and embraces it through writing. She loves to nerd out and embrace her love for different television shows, books, and music by quoting them constantly. You will come to find that Amanda is an outgoing, well rounded, and approachable young lady that is just trying to live life to the fullest.